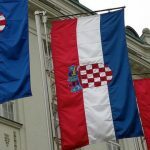 Withdrawing money from your bank account in your home country is not a problem in most instances, assuming that you've notified your foreign bank of your trip/move to Croatia. ATMs and banks are prevalent and accept most major cards including Visa, Mastercard and PIN. American Express is even extremely common here. The limits for most ATMS is 2,000 kuna per day (about $350 USD). If you search, you may be able to find one that will allow you to take out 3,000 kuna but they are rare. This can be problem if you need more money in a short time frame for, let's say, the deposit for an apartment or buying a scooter. 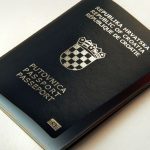 Since obtaining a Croatian bank account is contingent on having a residence, withdrawing large sums of money to get yourself set up in a new Croatian life can prove difficult if you don't know where to go. Chicken and the egg. Supposedly the banks will allow you to take out as much as 100,000 kuna using just your debit card however my experience has never shown this to work. But, there is a solution! 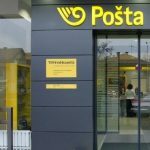 The Hrvatska Pošta office will allow you to withdraw up to 6,000 kuna per day per card. For example, if you and your spouse each have a debit card for the same account, you could each withdraw 6,000 kuna totaling 12,000 kuna for one day (if your daily limit is not exceeded with your bank). All you need is your debit card and your passport. 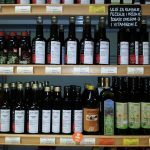 Do you have any tips or tricks to foreign money withdrawl in Croatia? Good blog. Thanks, we want more! Added to FeedBurner as well. Apparently the Citibank debit card (and Halifax for UK) is recommended for travel. They don't charge international transfer fees or a conversion fee, but a Croatian bank will most likely add a % fee. There are no Citibanks in Croatia but it can be used wherever Visa is accepted.